The pain of watching your pet grow older and weaker is excruciating for any animal lover. When the family dog reaches a certain age, it becomes harder and harder for him to go on walks, eat, or even sleep comfortably. Sometimes pills and certain treatments might help, but not for all of them. 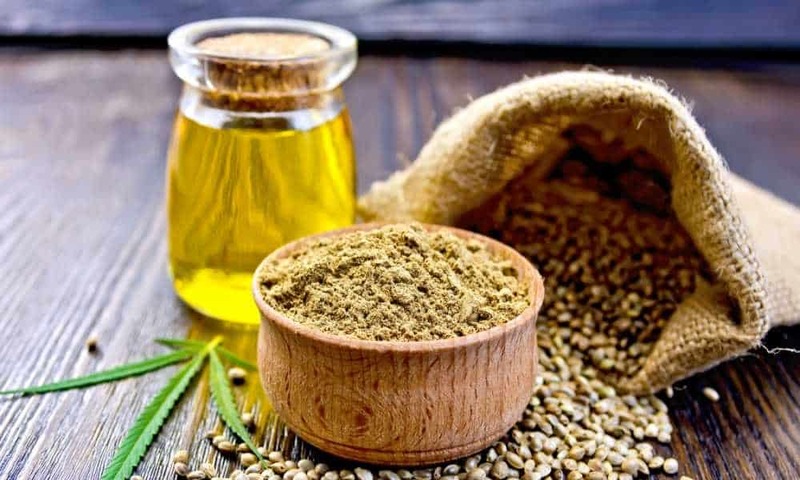 An interesting alternative has been provided by the booming industry of hemp oil manufacturing. Various companies these days focus on designing hemp oil products aimed at helping our furry friends instead of us. If you’re familiar with the effects of hemp oil on humans then it’s easy to understand why hemp oil is also recommended for pets. In high concentration doses, the same analgesic and anti-inflammatory effect that can ease your pain will also help the family pet. What’s even more interesting is that animals have an easier time dealing with the taste of hemp oil. It’s just the delivery method that may get a little messy. 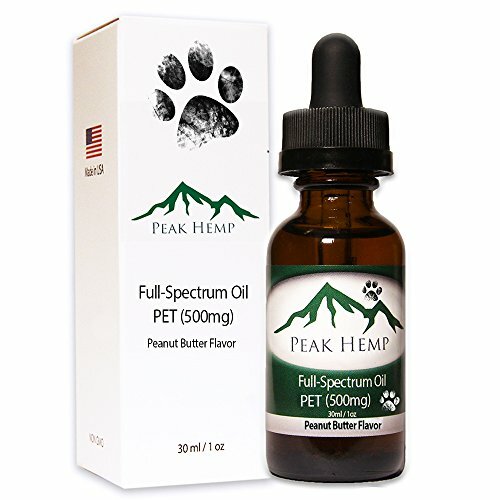 Peak Hemp designed their hemp oil to be used exclusively on pets. It has various medicinal benefits that help aging animals to deal with stress, chronic pain, and fatigue on a daily basis. Peak Hemp’s hemp oil is designed for man’s best friend. It is made to help elderly dogs alleviate some of the pain of old age or various conditions without having to resort to pharmaceuticals. The oil is also intended for dogs which have allergies to various synthetic drugs. Also, due to its intense and particular taste, the oil is tailor made for even the most pretentious pets. The oil comes in a standard 1oz bottle with darkened glass, for UV protection, and a dropper, for accurate dosing. It doesn’t have any dosage instructions inside the box or on the label. This oil has a peanut butter flavor. It works really well when combined with wet or dry dog food, but plenty of dogs will be happy to gobble it straight up. Its main purpose is that of alleviating joint pains which is not uncommon in dogs over 10 years old. The secondary effect is anti-inflammatory which really comes in handy when the dog has back issues. 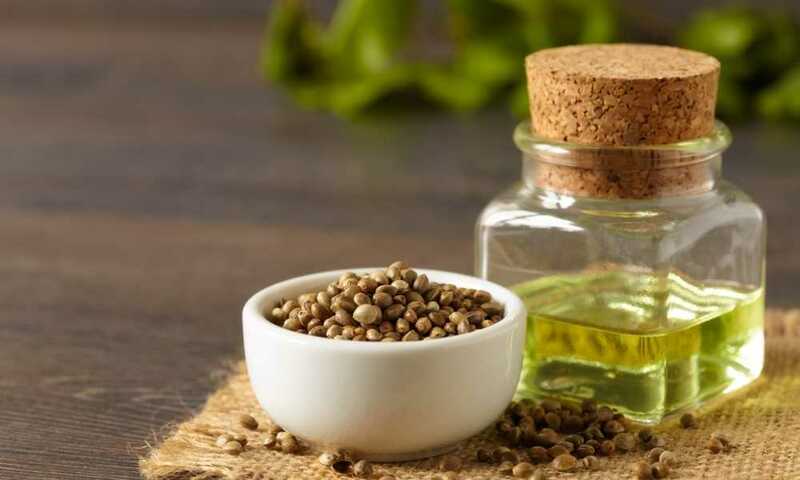 In terms of nutritional value, there’s not a lot that this pet hemp oil brings to the table. However, at least it doesn’t contain chemicals or additives other than MCT coconut oil and sunflower seed oil. Because of the high concentration of 500mg/fl. oz., Peak Hemp’s oil may even be able to help control epileptic seizures in dogs. It’s not as good as using the proper medicine, but not all dogs react well to synthetic drugs and it’s certainly cheaper than going to the vet. Another reason why this oil is both effective and safe is that it doesn’t contain THC. It’s a pure hemp seed oil extract which means there’s very little CBD in it too. However, there is enough to provide various medicinal benefits to man’s best friend. Although the oil has a very good taste, dogs do have a tendency to be more than messy when they eat or drink. If you want to make sure that your dog is getting a full dose, it might not be a bad idea to soak a few crunchy treats in the recommended dosage. When preparing your dog’s daily dose, just put four drops of oil on the food at chow time. The Peak Hemp Pet Hemp Oil is mostly intended for dogs. However, dogs aren’t the only pets we like having around. Will it work the same on a cat? Probably not. It also doesn’t do much as a dietary supplement. So, if you want something that’s broader in its approach, maybe you can consider the NutraVet Hemp Oil Extract as an alternative. This oil works just as well with cats and dogs and it also has a higher nutritional value. It’s also similarly priced and it has the same concentration, 500 mg in 1 fl. oz. Each bottle contains 30 daily doses which you can easily give to your pet from the dropper or by mixing them in the food. However, the taste is not as good as Peak Hemp’s peanut butter flavor pet oil, so the delivery may be a bit more difficult if you have a picky eater. The Peak Hemp Pet Hemp Oil can be a great natural pain reliever for your family dog. It can help with joint pain and inflammation, and it may even calm down your pet a bit and help him rest. The potency is quite strong, which is why the oil is so effective. Alternatively, you may also try NutraVet’s 500mg formula if you also want the oil to act as a dietary supplement.